Microsoft finally killed it. Or at least, they came close. Last week Microsoft announced that all Windows Phones not running Windows Phone 10 were unsupported. By some estimates that’s as much as 80% of the Windows Phone population. That population is tiny compared to iPhone and Android, but it is still there. Or at least it will be until the next bit of malware comes and wipes them out. I find the death of Windows Phone endlessly interesting. It was one of the dominant phone OS’s in the last decade and if you believe this article at The Verge it was the target that Android tried to take down, even before iPhone came out. The thing about Windows Phone is that it should be the operating system all our phones run on. Starting as “Pocket PC” in 1996 or so, this operating system was far ahead of all others in almost every way. 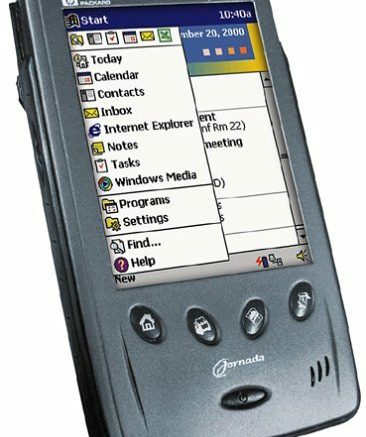 A graphical handheld device with truly useful apps and robust contact management, it blew away early competitors like Palm and Newton easily. At one time a Compaq iPaq was a “must have” for technophiles — a device with a large color display (4″), touch screen and even media playback… all in 2002! Windows Mobile, as it was called by the mid-2000s, supported apps, multitasking and desktop sync with Outlook. Neither Palm nor Blackberry, the two big contenders, could say as much. The platform made the jump from standalone digital assistant to phone by 2006, and it boasted nearly every advancement the iPhone would tout, at least a year earlier. Windows Phone is dead. Apple and Android are the living rulers of the phone world. It’s easy to say that the Apple/Android arms race left Windows Phone in the dust, but it could have gone a different way. Microsoft could have poured resources into Windows Phone but instead chose to spend money on fixing Windows and giving it away for free. They built a real hardware division after burning down the groups that brought us Zunes and that weird humpy keyboard. They could have jumped in hard and outspent Apple and Google if they wanted. It’s not easy to understand why they didn’t. When they bought Nokia in 2014, it looked like all the pieces were in place. Windows (desktop version) was getting better again and Microsoft had a captive hardware producer for phones. Yet they did nothing with it and no one really understands why. And so, Windows Phone joins an ever-growing pile of technologies that absolutely should have worked, should have taken over the world, but just …didn’t. It wasn’t because they did something wrong, there just was something about Windows Phones that didn’t work out. Poor app support, confusing sync options, limited cloud options, perhaps they were all to blame. I don’t think so. I think that the market just decided Microsoft wasn’t cool enough. If you can’t be cool you better have a lot of free phones to give away, and they didn’t do that either. Oh well, time to put my old iPaq 2210 out to pasture. How far apart should cellular antennas be?